Any recipe that can be made in the oven is fair game! What can you make? 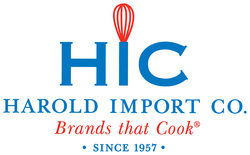 Some of the recipes for October were sponsored by HIC, Harold Import Co.